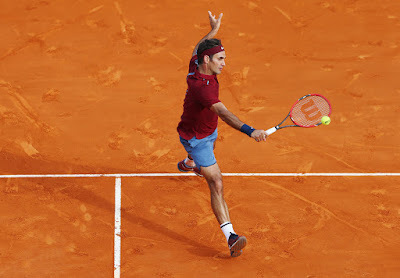 Roger Federer showed improving fitness during his comeback week after February knee surgery, with the four-time Monte Carlo Rolex Masters finalist rolling smoothly into the quarter-finals over Roberto Bautista Agut 6-2, 6-4 on Thursday. The 34-year-old third seed is only two and a half months removed from the procedure he underwent after tweaking his knee off court after a semi-final loss at the Australian Open. 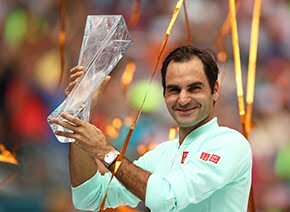 Federer said that his second win in three days in the Principality has left him feeling that his fitness is approaching 100 per cent. "As long as I can go into a match feeling like I'm all right and not thinking about the knee, it's all good. "Even if it would flare up and I couldn't play tomorrow, I have a lot of information out of this tournament. I'm getting closer to the peak in the sense of maximum movement against the best players on a tough surface. "Everything that's going on right now at this tournament is great. I can rest for the next couple of weeks anyway. "Even if I get a setback of a couple of days that the knee is not well, you rest it, take up training, take as much time as you need. I feel like I'm in a great place right now. "As the match progressed, I felt better and better," Federer said. "Once I made the break, I was able to relax a little more. I'm happy with what I did. He's a good player." 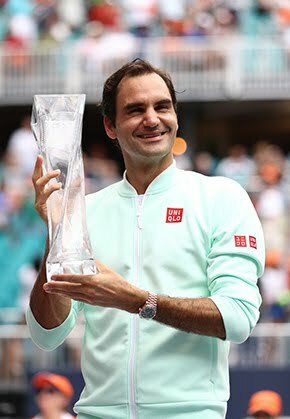 The third-seeded Federer swept past Bautista Agut in 69 minutes, winning 73 per cent of his service points and breaking serve three times. He improved to a 5-0 head-to-head record over Bautista Agut, who has made a strong start in 2016, compiling a 20-7 mark and winning titles in Auckland (d. Sock) and Sofia (d. Troicki). Federer next faces Jo Wilfried Tsonga in the last eight, leading the Frenchman 11-5 in head-to-heads. But Tsonga did beat the Swiss in their last meeting two years ago in the Toronto final. They also met in the Monte Carlo quarter-finals in 2014, with Federer winning that contest in three sets.